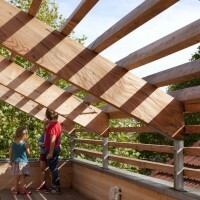 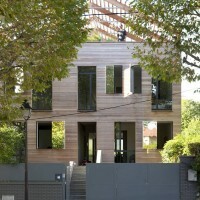 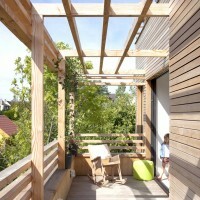 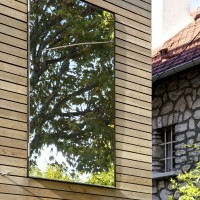 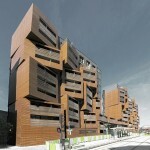 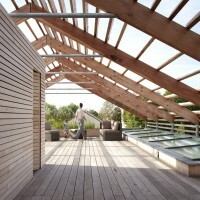 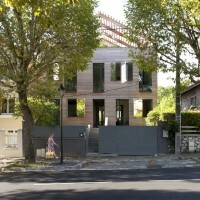 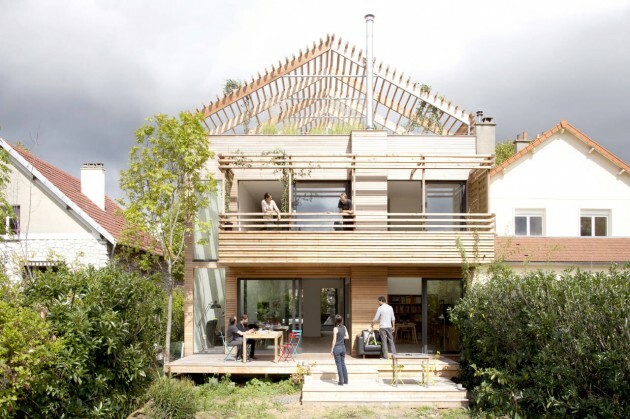 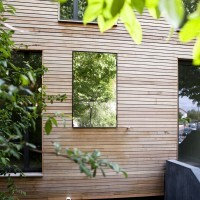 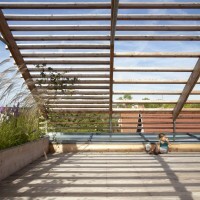 Djuric Tardio Architects designed this “Sustainable Eco-House” in Paris, France. 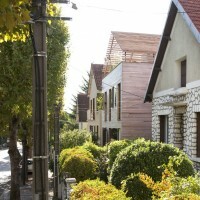 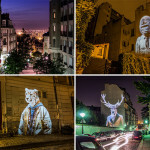 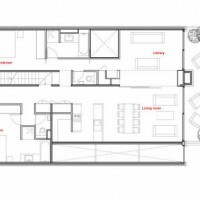 The new project has been realized in a neighborhood, Antony that is an example of the belief that architecture, whether heterogeneous and homogeneous, is shaped by outdated zoning regulations. 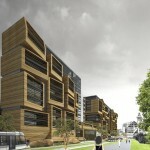 The delays in securing permits, along with conditions of the urban situation and our desire to continue and refine our own research on wood constructions, led us to propose a type of construction system. 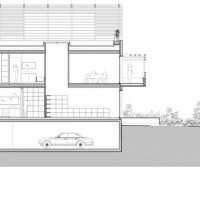 This type is still not released in urban areas and rather reserved for detached houses in less dense sites. 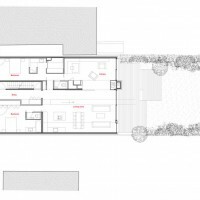 The urban rules and the site context, which is very typical, have suggested the template, which has proved a real asset to the project. 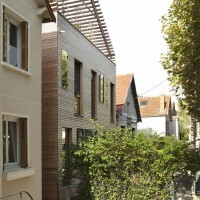 The pre-cut panels, supplemented by wood fiber insulation and non-treated siding, arrived at the site almost finished, reducing pollution to a minimum (the site being located in a dense suburb). 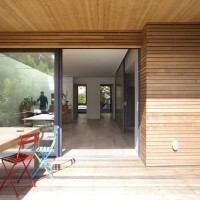 The façades, in wood panels too, were mounted along the floor. 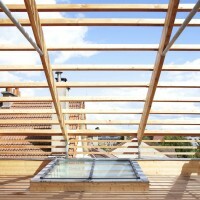 With a very efficient exterior insulation system which completely allows the elimination of thermal bridges, wood construction has the advantage to make the building very powerful. 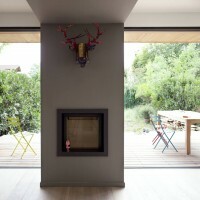 The under-floor gas-fired heating with low temperature becomes almost superfluous. 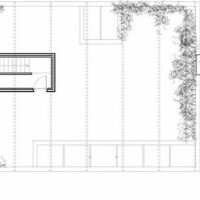 The double-glazed + argon windows of the patios and the South façades, deliberately oversized, capture the sun in winter and are sheltered by a canopy and a pergola in summer. 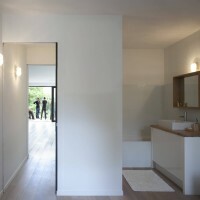 This allows together with their performance and surface, an easy control of the solar gain and air flow as needed, without necessitating an intensive use of air conditioning or heating. 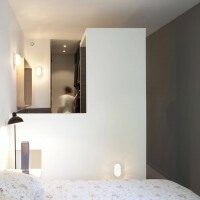 The main facade on the street, lodging the rooms in the North, is a composition of large glazed openings and single opening shutters designed in stainless steel mirror with no glazing. 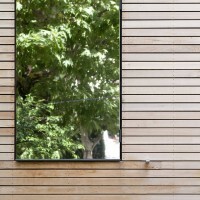 The reflections of the vegetation and the movement of these shutters in stainless steel mirrors make the façade changing. 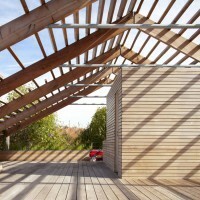 The ventilation of the rooms is regulated by the openings of the shutters, and the penetration of light through the windows. 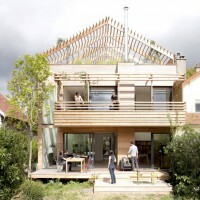 The recovery of rainwater can water the garden and planters allow homeowners to cultivate aromatic plants and garden without water over-consumption. 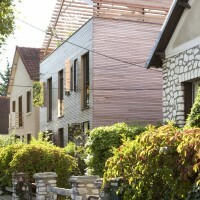 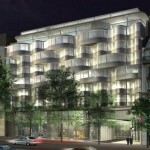 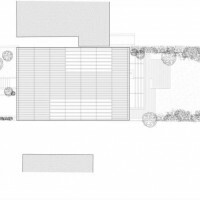 Visit the Djuric Tardio Architects website – here.